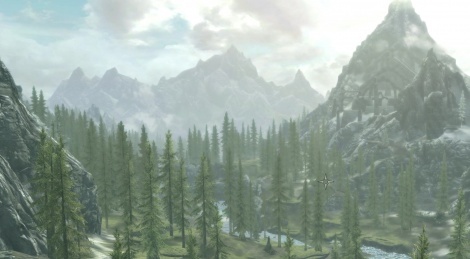 The Elder Scrolls V: Skyrim Special Edition has struck us as one of the few titles showing obvious imrpovements in image quality thanks to the higher resolution. Ratchet and Clank and, to a lesser extent, Rise of the Tomb Raider, have also benefited from the jump. Here is a video of the PS4 port of this iconic Bethesda game. Supposed to run worse that the OG PS4 - How does that happen :( It's turning into a bit of a poor launch. It seems only Tomb Raider devs have put the effort in. Im hoping when mine arrives later today EA have at least released a good patch for Fifa 17 & Battlefield. Either the GPU is not powerful enough to handle constant 4K (and thus they should have used dynamic res), or the CPU can't handle the new distant details settings. BF1 seems to have Pro support already, many people are claiming on Reddit and Gaf that now the game stays at 1080p all the time and is almost constantly at 60 FPS in Conquest MP where normal PS4 could go down to 30 FPS. So the game may have been built with the Pro tools to use the full power but does not offer new options for now and just use the normal PS4 settings (dynamic resolution up to 1080p). Any word on improved textures? Better AA? at 1080p? Also no 4k for Battlefield? Some say that EA may be under NDA with Microsoft and that would be why they don't say anything about Pro patches. But EA already said that their recent games (including BF1 and Fifa) would support PS4 Pro, but did not say in which way and when. Sony said day 1 for both of them, Very odd situation. It's not like devs are under any embargo regarding patches. From what I read on Gaf, EA seem to be under NDA about advertising, thus they may not be able to "advertise" a PS4 Pro patch.